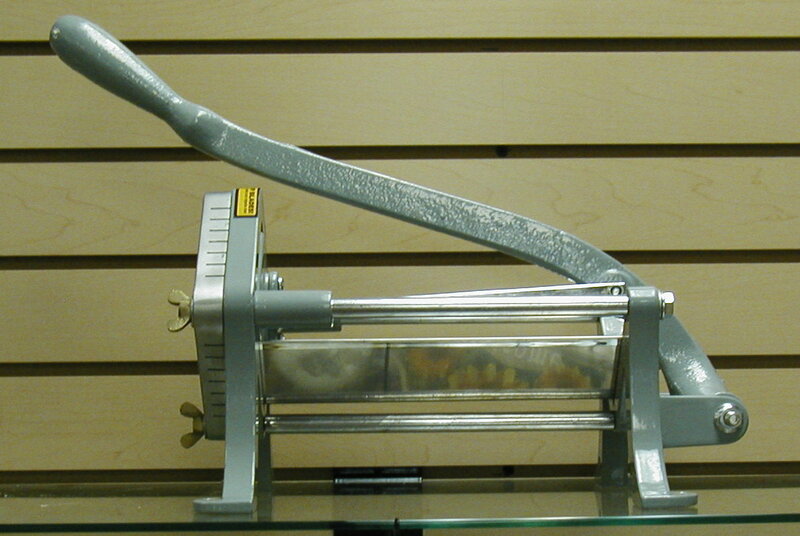 French Fry Cutter Jumbo extra large potato cutter Temecula. Cuts up to 50 lbs. of potatoes in an hour! 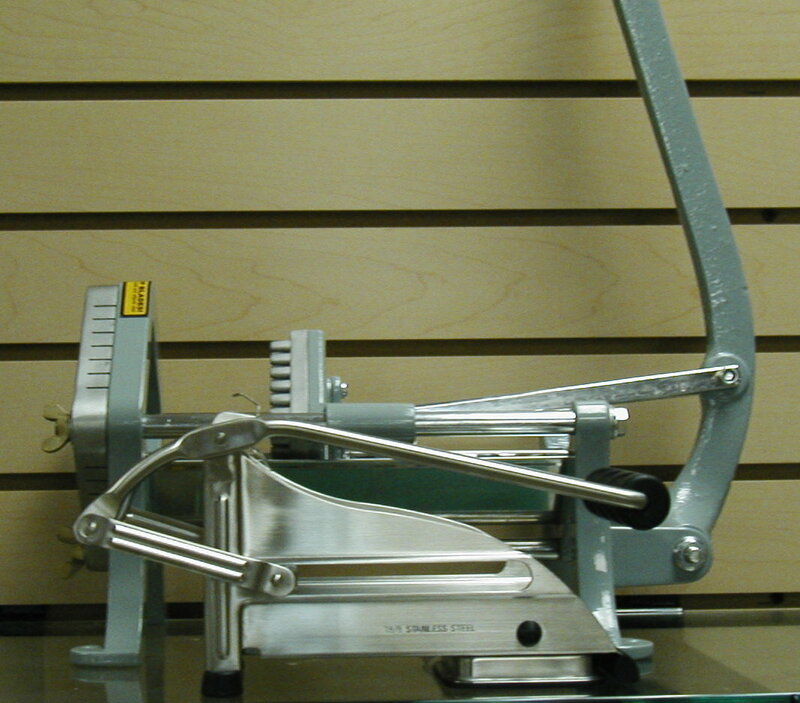 Easily cuts potatoes up to 6" long into 3/8" or 1/2"
Shown below next to a "regular French fry cutter" click on picture to get an idea how big this really is. Click on pictures for detail! Please note the wall behind the picture has 3 inches between the slats. 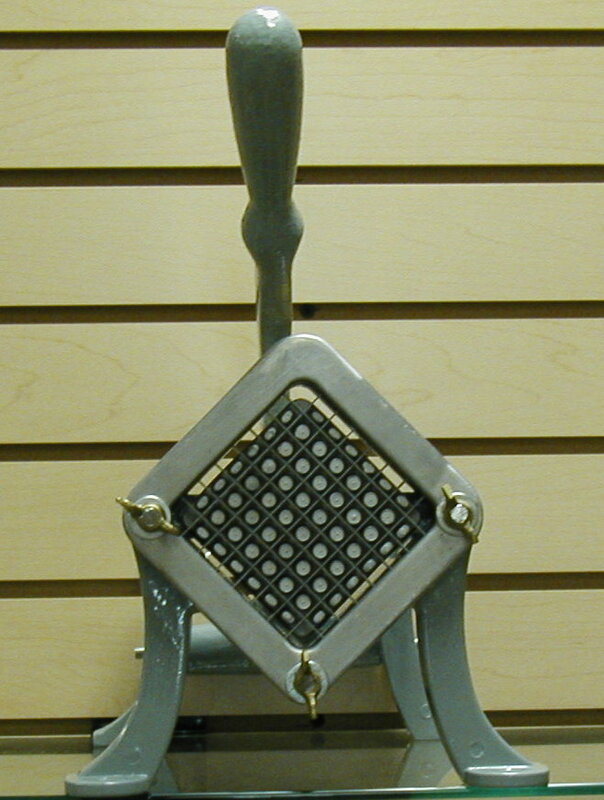 the unit (not including handle size) is 12 inches long and 7 1/2 inches high. 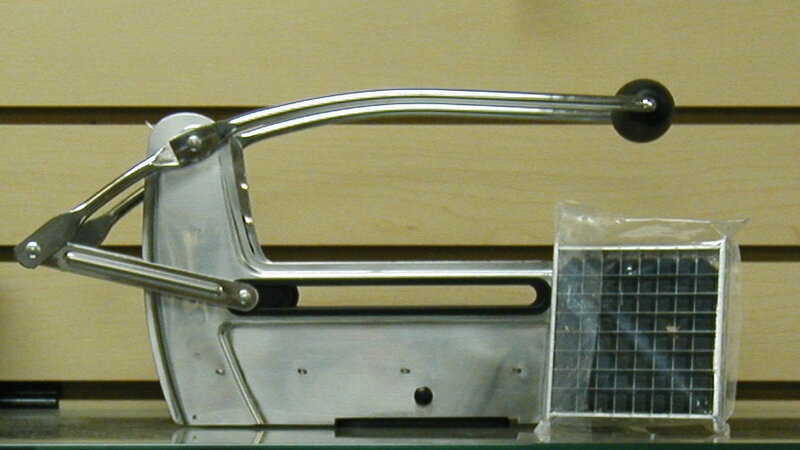 Jumbo French Fry Cutter Plastic and Stainless Steel. Simply place potatoes into chute and squeeze through for thick or thin French Fries. Includes, thin, and thick disc. 36 and 64 hole 3/8" and 1/2"
Jumbo French Fry Cutter Stainless Steel. Simply place potatoes into chute and squeeze through for thick or thin French Fries. Includes, thin, and thick disc. 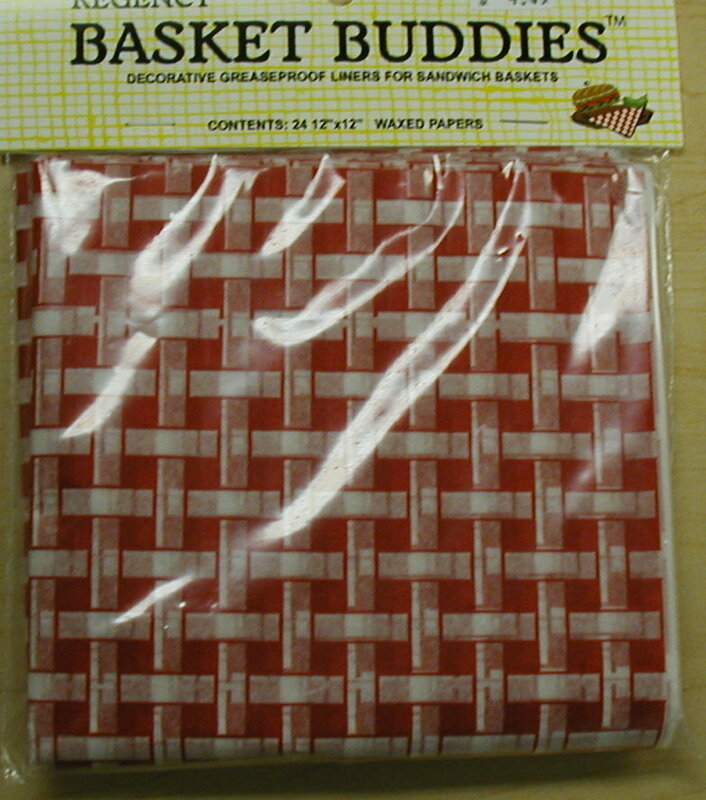 waxed papers great for baskets and fry cones above! In business since 1984 family owned and operated! Proud to offer our French Fry machine, and our spiral fry cones.